Rabbis Avremel Lokshin, Menachem Gurevitch and Shneur Minsky. 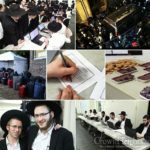 The director of the Vaad Talmidei Hatmimim Ha’olami, Rabbi Tzvi Hirsh Altein, met recently with three Askanim who have taken upon themselves a large share of the financial burden of caring for over 1,000 guests who will be arriving from all over the world to spend Tishrei in Crown Heights. The three philanthropists, Rabbis Avremel Lokshin, Menachem Gurevitch and Shneur Minsky, discussed the various logistical and financial details of the enormous undertaking. This year, the Vaad plans to provide sleeping accommodations to over 750 guests, and meals to over 1,400 guests. In addition, the Vaad will provide regular programming and a full daily schedule, as well as buses to and from the Ohel. The needs of the Bochurim will be taken care of by the Vaad, while the needs of the girls will be taken care of by a sister organization named B’nos Chabad. 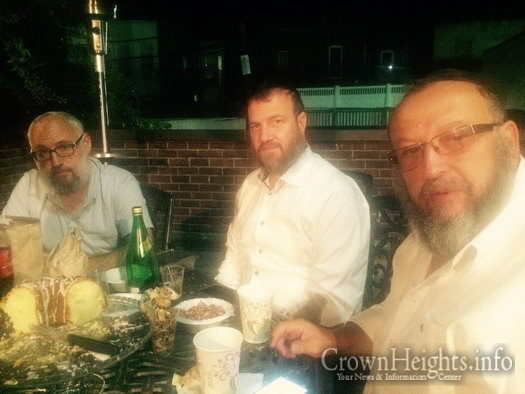 “Our goal is that every guest who arrives to spend Tishrei with the Rebbe should be comfortable and have his or her needs taken care of,” Rabbi Altein told CrownHeights.info. “We want every guest to have a positive experience throughout the month of Tishrei, with growth in Avodas Hashem and connection to the Rebbe – which will hopefully be carried on throughout the year,” he said. Hashem should bless you all a million times over.